Arrive Tehran I.K. Airport or pick you up from Tehran at midnight or early morning. 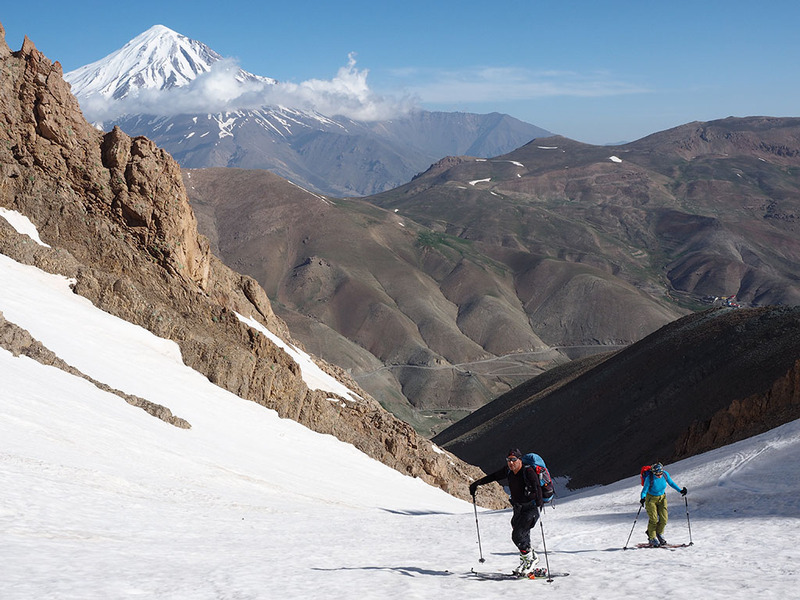 After welcoming to you, we’ll Transport you to Polour village at the foot of Mount Damavand. 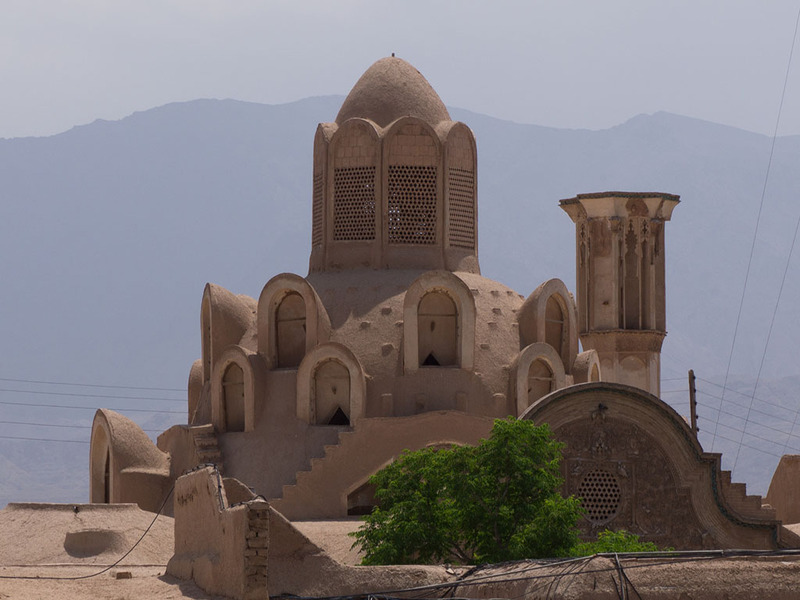 Polour is a small village with about 2400 m altitude and placed on about 70 km far away from Tehran in the northeast. 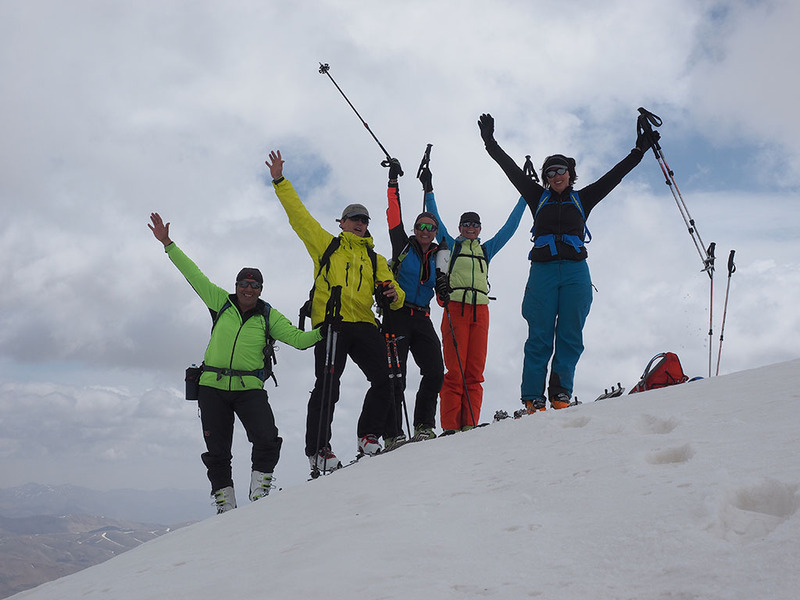 After few hours rest and set equipment, we’ll start our Ski touring in nearest mount around Polour, Golezard (yellow flower) summit with altitude around 3700 m.
O /N at the guesthouse or local house in Polour village (full board B.L.D). After breakfast at early morning, we’ll transport the group to Lasem village (about 30 min) at the foot of Doberar ridge (north side). 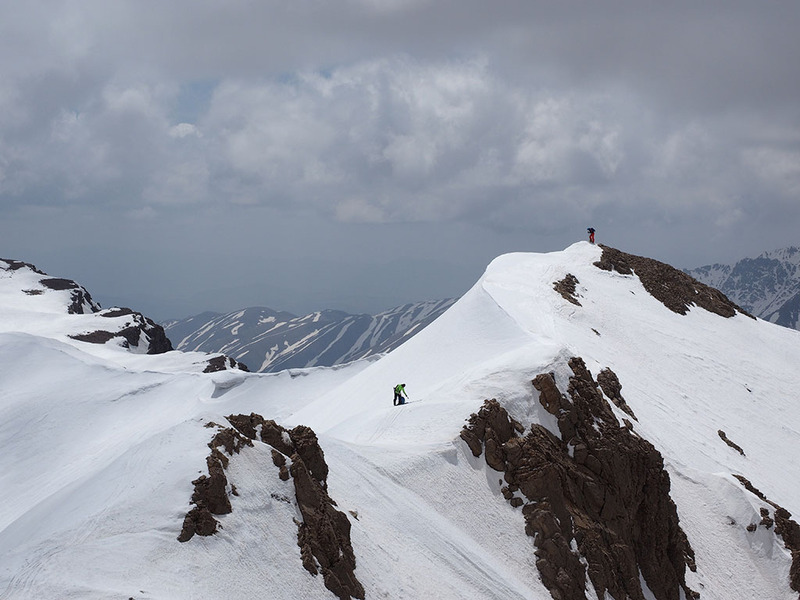 Doberar is a mountain ridge that is too long and has many 3000 and 4000 m summits. 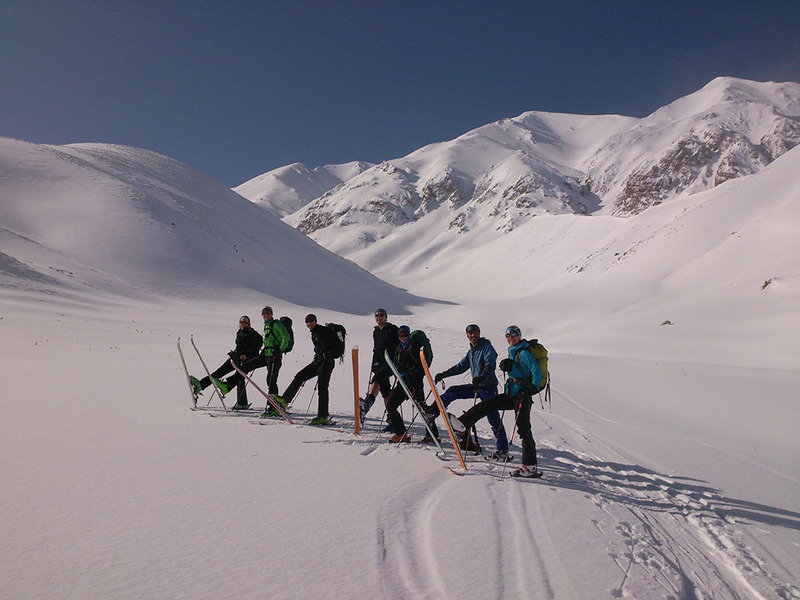 Lasem village (~2700 m) is our start point for ski-touring. 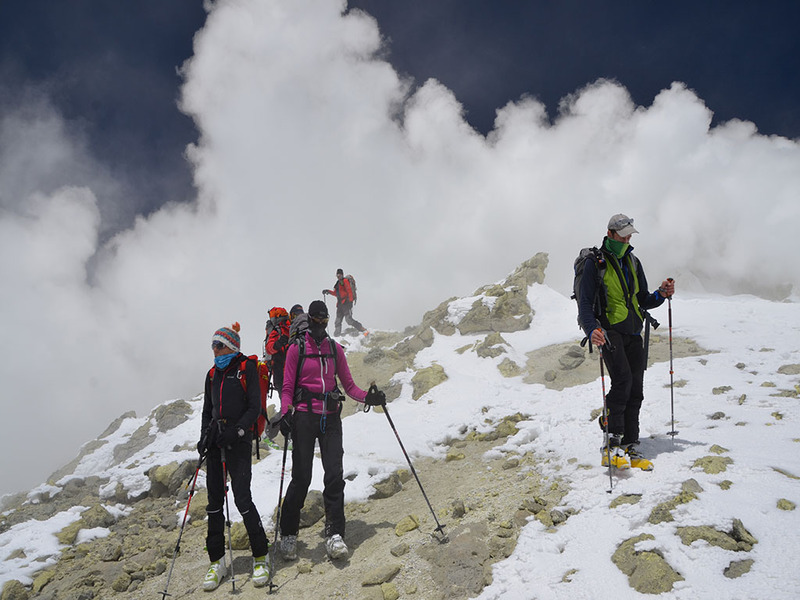 Today we climb Angemar summit (~4000 m), it takes about 4 hours to top. 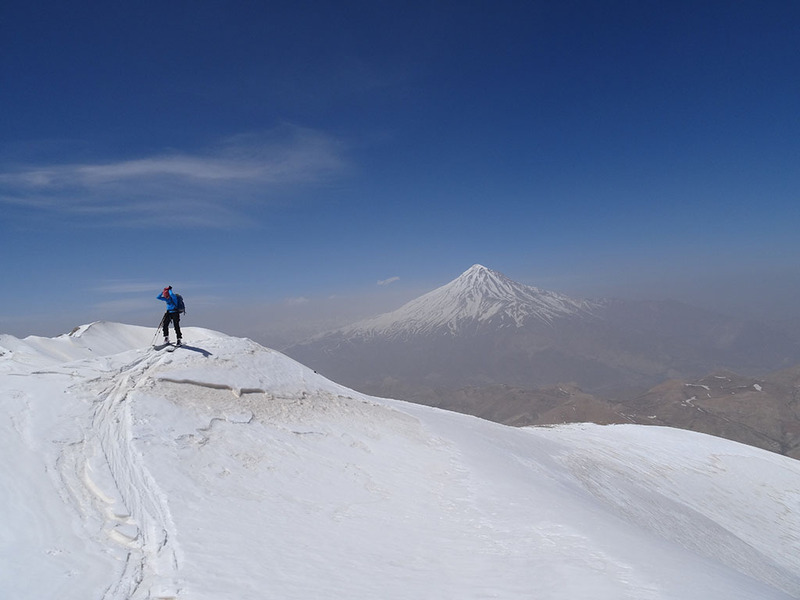 There we can enjoy and take pictures of the best scenes of Damavand and Doberar ridge. Skiing down to Lasem village, transport to our camp at the Polour guest house/local house, take a shower and have rest. O /N at the guesthouse or local house (B.L.D). 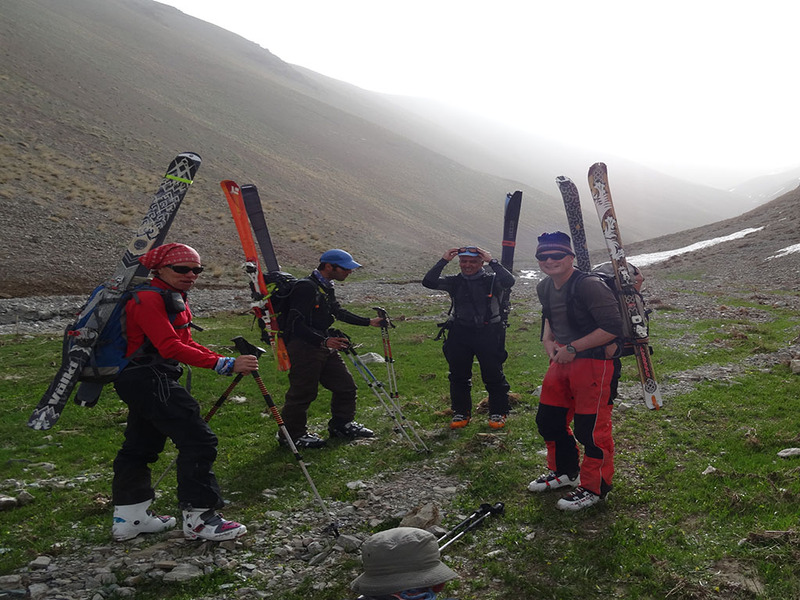 After serving breakfast in the early morning, transport to Lasem village, we’ll start our ski-tour to climb Doberar summit with about 4250 m altitudes (the highest summit in Doberar ridge). We ascend about 5 to 6 hours to reach the summit. After taking pictures and enough rest, skiing to Lasem, transport Polour village, take a shower and have a rest. O /N at the guesthouse or local house (B.L.D). After serving breakfast and leave our extra equipment in the guesthouse, we transport the group to Gosfandsara by 4WD at 3000 m altitude. Depends on snow conditions and if mountain road will be closed by snow, we should have to start from the end of the road. There we leave our luggage (each 2person one 15 kg luggage) to mules or porters, and they carry them for us to Bargahe Sevom. After about 5 to 6 hours we’ll reach Bargahe Sevom hut in 4250 m altitude and have a rest there. O /N at hut or 2person tent (B.L.D). Today we have enough time. After breakfast, we’ll climb to about 4800 m altitude slowly and have enough rest for good acclimatization. 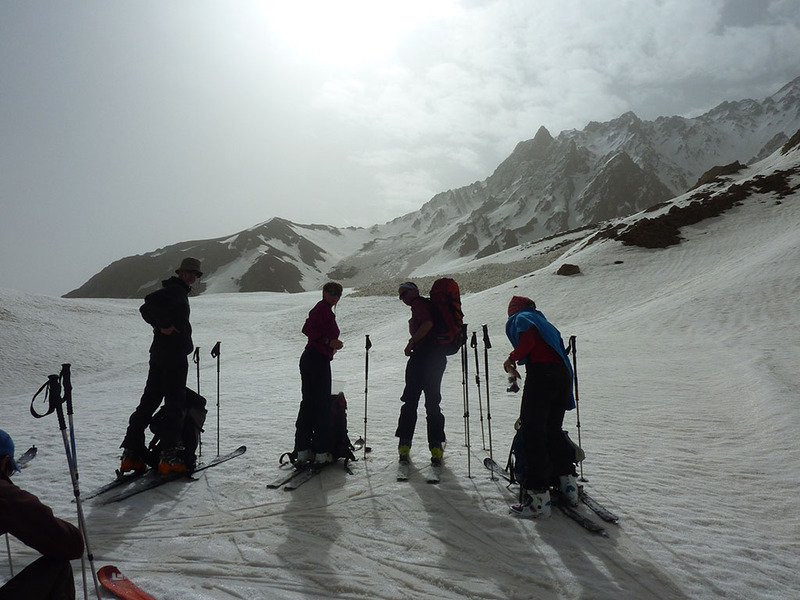 Descend to the hut and enjoy the landscape of Doberar ridge and Lar lake. In case of bad weather condition, today is reserve day and we can change our program. O /N at hut or 2person tent (B.L.D). 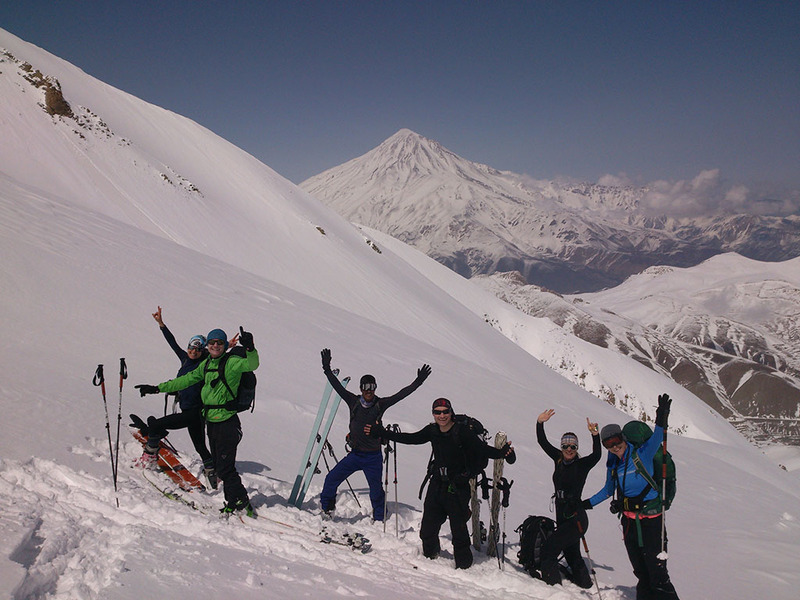 After breakfast at early morning, we’ll start to ascend to the top of the Iran, Damavand summit (5671 m). 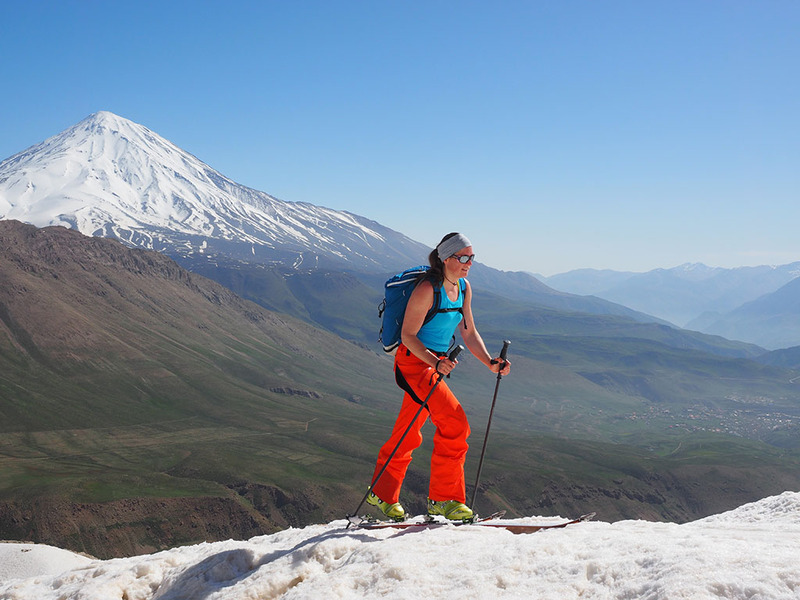 It takes about 6 or 7 hours to reach the summit by ski. Near the summit in about 5400 m, because of warmth and sulfur gas, there is not enough snow and you should take off your skis and climb summit by boot crampons. 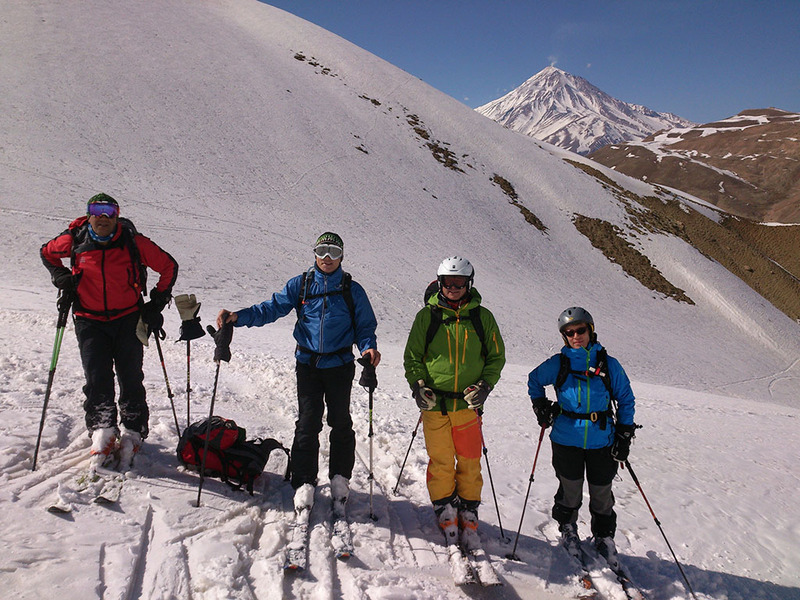 After reach to the summit, you can see the Crater of old Damavand volcano and enjoy scenes, tacking memorial pictures. 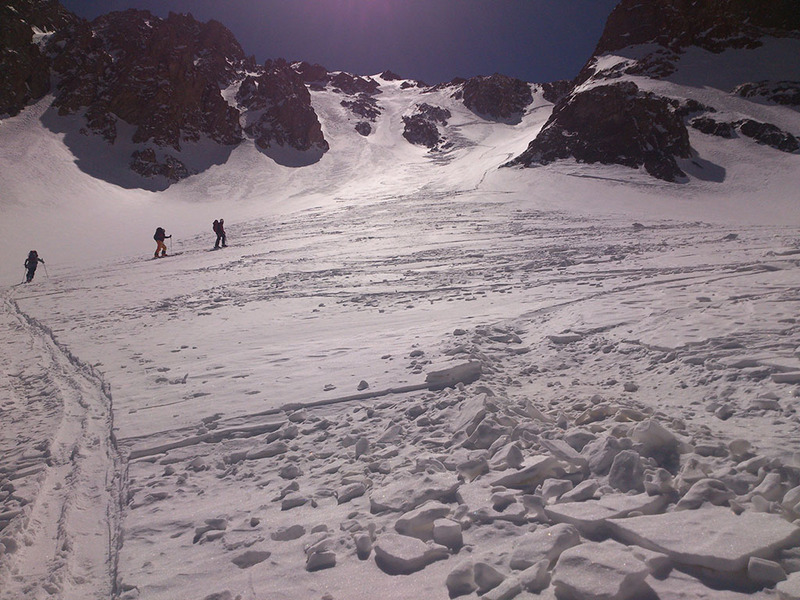 Then skiing down to hut (about 2 hours), there we have a few rest, eating hot soup and descend to Goosfandsara by ski. Transport to Polour by 4WD cars. O /N at a guesthouse or local house (B.L.D). Today morning after serving breakfast and collect your equipment, depending on your decision, we’ll transport you to Tehran or I.K Airport. No need to have any special vaccination. 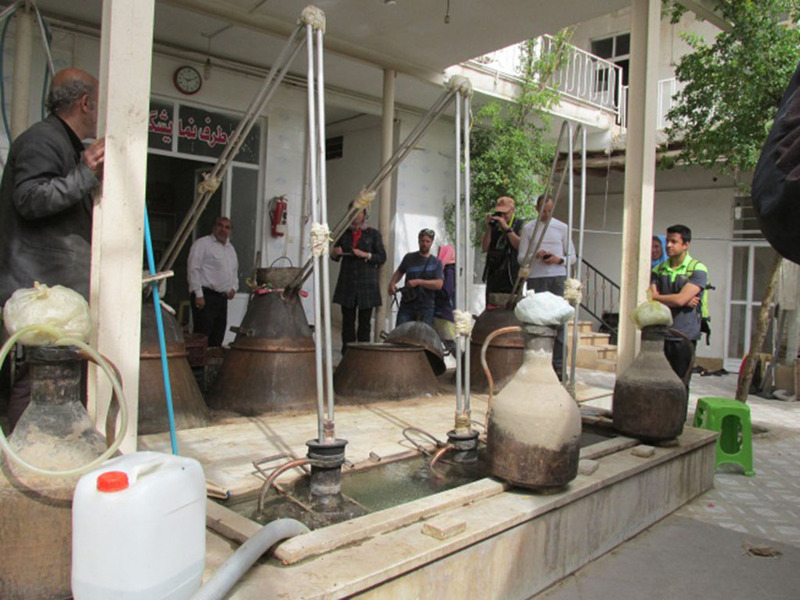 There is no contagious disease in Iran. But for abroad holiday its better to do your regular health care and vaccination or teeth treatment before you travel. Iran is an Islamic Country, So If you are a woman, You must wear scarf and mantoo and also man are prohibited to wear shorts in the cities. Note: Woman should wear long sleeve shirt, Scarf and long Shirt in cities. Headlamp (lithium batteries are best for cold weather), Thermo Flask, Water Bottle, Pocket knife or pocket tool, Earplugs, Small quantity of favorite energy snacks, hiking staff or trekking poles, Small waterproof pack cover for daypack, Sunglasses with strap (side-shields or glacier glasses recommended), Sunblock cream and lip balm, Personal hygiene supplies including biodegradable soap, Small quick-dry towel, Personal first aid kit, medicines, Hand sanitizer gel or hand wipes and etc. Camera, memory cards, spare batteries, Battery charging station for cameras or personal electronics, Solar charger for batteries, Travel Adapter (UK to EU) Antibacterial wet wipes. Your desire date is not included??? 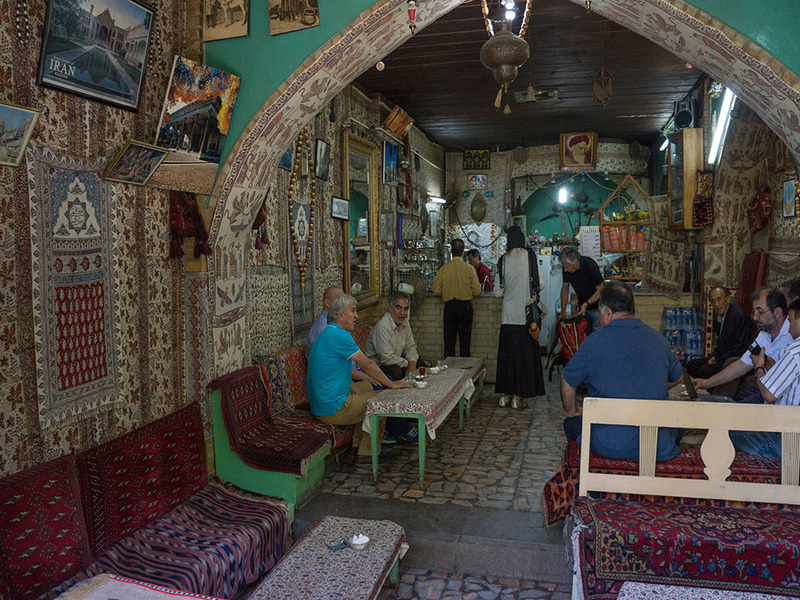 The price of our holidays can change depending on a variety of factors but unlike some other tour operators, IranExploration have undertaken to guarantee the Land Only price of your holiday will not change after you have booked. The price when you book is the price you will pay, whether you are booking for this year or the next. Book early to avoid any tour price increases, get the best flight prices and take advantage of our ‘No Surcharge Guarantee’. All inclusive in this holiday, making it hard to beat on price. You can add some extra tour packages to your holiday. 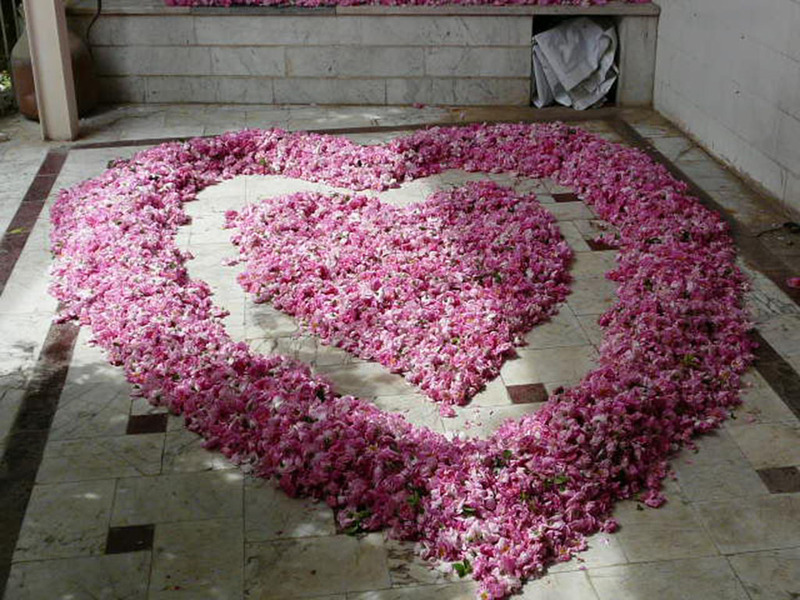 Enjoy your time in Iran & make the best memory of your life! This trip grading involves a combination of our MODERATE and CHALLENGING levels. The emphasis is on moderate activity with several challenging stages. 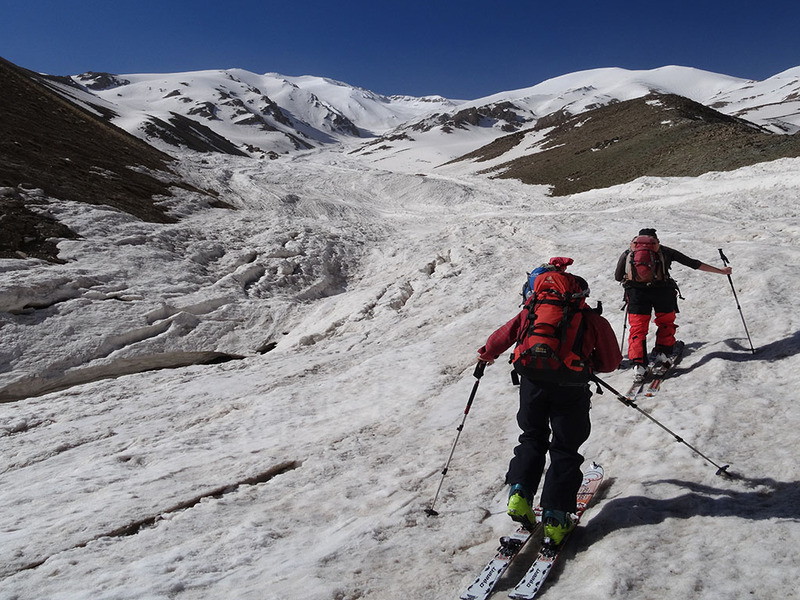 These adventures involve Ski-touring, trekking, cycling or rafting in remote areas in variable weather conditions for up to 7 to 8 hours a day (possibly more subject to weather conditions and altitude). 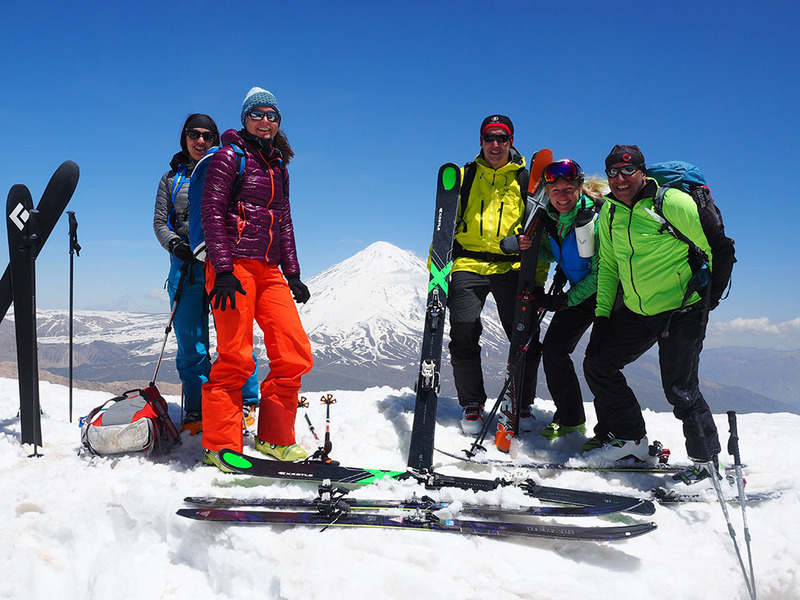 Damavand south route Ski-tour is not a technical, but it needs skill skiing at high altitude and knowledge of snows kind and condition. 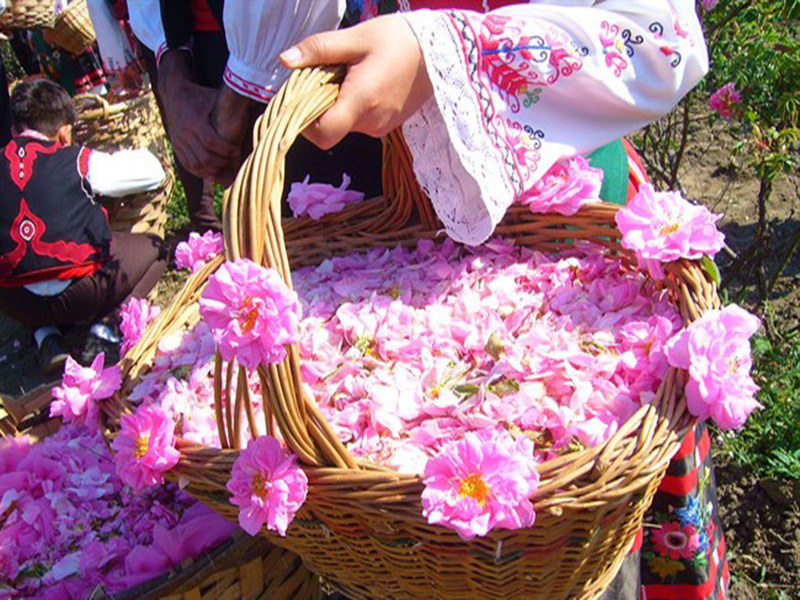 Want to travel with friends or your family, Select your tour and choose your own dates.